The Irish Open is now one of the biggest events on the European poker calender. With the recent poker boom and massive numbers being generated by Paddy Power Poker a change was becoming increasingly necessary. From 2008 Dublin's City West Hotel will be home to the Irish Open. With its massive conference rooms, the City West Hotel will have no problems hosting the expected capacity field of 1000 players. A Paddy Power representative spoke about the change in location saying, "Citywest Hotel is the ideal location for the 2008 Irish Open. We searched the length and breadth of the country to find a venue that could provide players with the famous atmosphere and communal spirit of the Irish Open while still being big enough to accommodate the huge field." With a world class venue in place the time is right to get involved in qualifiers at PaddyPowerPoker.com. Daily qualifiers for the fortnightly Super Satellites start at $4, providing players with great value opportunities. The fortnightly Super Satellites cost $340+20 and take place every second Sunday at 9pm. Daily feeders to this tournament run at 1pm, 6pm, 9pm and midnight. 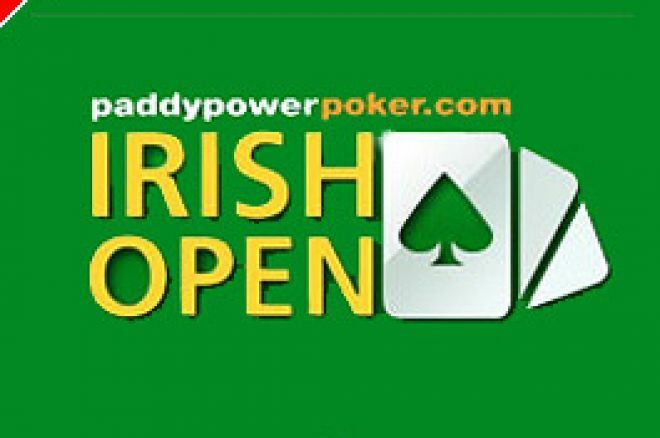 The $8,500 package on offer includes the €4,500 buy-in to the Irish Open Main Event as well as more than $2,500 in expenses.